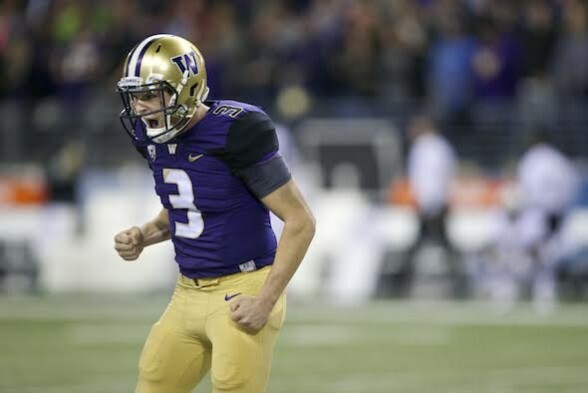 As the unbeaten Huskies prepare for Autzen Stadium, Washington has made plans to overcome themselves and the noise as the desperate Ducks seek to avert a fourth consecutive loss. After a 44-6 thrashing of then-No. 7 Stanford Sept. 30, the 5-0 University of Washington Huskies must consider Saturday in Eugene the possibility of taking too lightly a team that has beaten them 12 years a row. The hated Oregon Ducks are 2-3 and falling fast, a shadow of their dominant selves. It’s hardly uncommon after big games for winners to get sloppy. The adrenaline high saps focus. Huskies coach Chris Petersen acknowledged as much. Even an Oregon team allowing 490 yards and 36 points a game on a three-game skid. As part of his plan to demand full attention from his players, Petersen put the kibosh on media members doing interviews this week. His team, he thinks, has enough to worry about. The biggest problem for Washington may be the deafening noise of Autzen Stadium. Stemming from the field’s small footprint and sunken bowl, noise from a full house of 60,000 can reach as high as 127 decibels — comparable to an F-22 taking off with afterburners 50 feet away. That kind of noise is physically painful. It may also be a problem for QB Jake Browning’s preferred snap signal, which involves clapping his hands to cue his center. Offensive coordinator and QB coach Jonathan Smith said Wednesday that the team was experimenting with “a couple things” to make sure that Washington gets plays started properly. Assuming Washington can tolerate playing on the deck of an aircraft carrier, finishing against Oregon’s defense will be crucial. Wide receivers coach Bush Hamdan said Oregon’s secondary is trouble. Tyree Robinson, a 6-foot-4 redshirt junior out of San Diego, will be one challenge. Aarion Springs, a junior from San Antonio, will harass the other side of field. “This is as good a secondary as we’ll play all year,” Hamdan said. “(Robinson) can transition and move. He’s an extremely tough guy. (Springs) I think was a five-star recruit, that kid can play as well. Browning has played some of the conference’s best football. The sophomore completed 70 percent of his passes, with 17 touchdowns through the air, and just two interceptions for an efficiency rating of 196.3, best among Pac-12 quarterbacks with more than 50 attempts. Add that to an O-line that didn’t allow Stanford to touch Browning in the pocket (zero sacks, zero hurries), and the Huskies may feast. Petersen said the rivalry, of huge importance to Washington fans who sat in the shadow of Oregon’s ascension during a period of decline, doesn’t really affect the team much. “We get it,” Petersen said. “We know it’s important. But all these games are important. I want our guys to just do what they’ve been doing — just preparing hard and staying focused on the right things and showing up on Saturday with great energy and playing as a team. If the media ban is an indication, Oregon certainly has Washington’s full attention. The trick is to ialso gnore the audio riot, the series history and the mean scheduling to do unto unto the Ducks what was done unto the Cardinal.